Settle down people! They sent mine today with the 26650 included and even shipped some 18650s with the light as well. When did you order ? Mine was on 20 Sep but still processing even through “ship in 24 hr” when order. Mine took slightly more than 24hr from processing to shipped. Yea i ordered mine on the 21st but it could have been the 20th USA time. Just shipped a few hours ago. Those two pages I linked to were the original pages from 2016 during the GB, one with cell and one without. Wholesale price the cells will be worth like 3 or 4 USD max. Hadn’t thought down those lines and you’re right but those Chinese are very cheap and that’s a lot of money to them, I bet this thread alone has bought every light they sold so far since lowering the price like that, but I still think that they forgot about the free cell on that one page I linked, those two pages have always been there since the GB, but beats me, sure hope they stand up and ship the ordered lights. It really must have been a mind bender to suddenly see the sale of the Cometa go off the scale like it did in the last 24 hrs. Bet they know who would have bought them all as well, it’s those same BLFers who came up with all the fixes to this messed up light.. ha ha, it’s a heck of a deal. I read some manufacturers hate Banggood and stopped doing business with them because they sell a lot of things at cost, which kills off other smaller retailers that actually provide warranty service. In this case, I’m betting this is sold at or even below cost, so even an additional $3-$4 (maybe more as I’ve found wholesale sometimes is not as cheap as I thought) would bring them further into the red. Normally I would rather buy from MTN, Illumination Gear, etc. even if it cost a bit more. However, this current price of $15.99 is a STEAL (compared to the Jaxman Z1 I always wanted to try) I cannot resist and the light is not available elsewhere, which is why I bought 2 and I don’t care about getting free cells as I don’t feel a need to have a company lose money even if they made a clumsy mistake. Also I have my own business too, so I can feel for other businesses. Sometimes people don’t understand we need to make a living too and without profit, we basically have no income to feed our families, which is why I hate doing business with people that want to see me lose money so they can score a great deal. This company deals in fairly small volume so i expect the prices to be fairly high compared to what these big company pay. I never modded mine till a few months ago and it was fine stock some had issues and others didn’t. The issues where a metal anodized disc holds the LED in place but the anodizing was getting scraped of and causing issues. Easy fix just place some electrical tape over the led wires. My one was fine i think it really depends on the solder job done if it had sharp joints. Other issue was some 26650 would short out between positive battery terminal and the ground in the battery tube same fix as above. Electrical tape or a plastic insulator or any none conductive material to separate the two. I intend to do the same when mine arrives. I take it you used the original driver? 1. Can anybody say if the Shockli 26650 5500mAh fit the Cometa (everywhere they say the batteries are a bit bigger)? And has anybody experience in ordering this cells directly from Shocklis Ali store (shipping to Germany). Because i am going mad if i see the price here in germany. 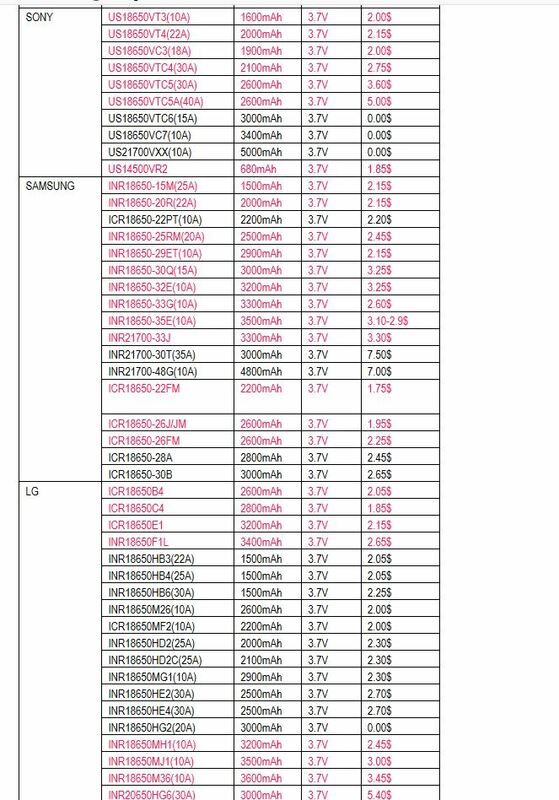 GB 2xpcs 12,93€ (but no delivery to Germany), here i pay 16-20€ for 1 cell + 5-7€ shipping. Thats crazy!! If ordering from Aliexpress is ok i can get 2 cells for ~18€. That would be ok.
2. Did anybody have the exact Dimensions from the lens? I am checking www.thorlabs.de and www.optolife.com for a lens. 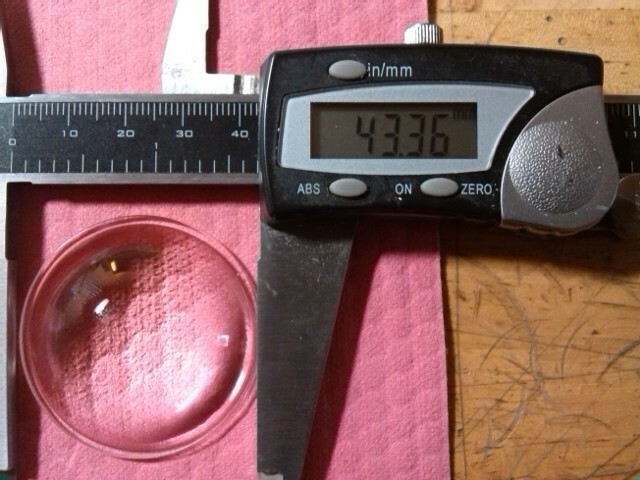 Or maybe someone can point out the right lens with Multilayer AR coating. That issue with the driver as I recall was that area the driver sat in was to deep and would cause the spring to lay over when you put the cell in and it would short out, What I did was to take a copper washer that was the same diameter as the driver pockets shelf and when you put the driver and the retainer ring back on I lucked out with the thickness of that washer and it brought the driver up to the right height, or other used a plastic insulator ring, either way it wasn’t hard to fix and it is a good driver, ATTiny25V-based driver with off-time capacitor and FET+7135 power channel configuration. (17mm) This light has the lighted tail switch also, well it did.. The specs from BG on this light are 130mm(L) x 53mm(Head) x 33mm(Body) the lens is supposed to be the K9 with double or both side AR, but I wouldn’t hold your breath on that I sure hope that the lens is still the K9, as far as actual diameter of the lens I don’t know and I haven’t gone over to my shop and looked through all those boxes of older lights for those Cometas, once a light ends up over there I’m usually fairly well done with it or lost interest, I will probably go over tomorrow and see if I can find them. You would have to go thru the Cometa thread to find out for sure, unless somebody has one they can measure now? But I posted these pics back then, but one was from the Cometa and one was from the Z1 I just can’t remember which is which, but they both worked. I’m thinking the bigger was from the Z1 and it fit better…. Hope the original lens is good. Because (i might be wrong) there is no plano aspheric lens with OD of 45mm at this two stores. What is difference between 1A and 3 B please. BTW, NO THANKS for buying light regardless of how low. Banggood FRAUD waiting to happen. Be CAREFUL guys!!! Banggood is good seller that ship orders if they have stock, i don’t think it is fraud but their system is not perfect when it is clearance and stock counts are inconsistent in last few hours. Yea i used the stock driver mate. I regularly use these drivers for different mods. The lens is like 45mm AR coated glass which is why i bought a new one because i stuffed mine lol. They are pricey and hard to find. I do not think that you will find a better lens on Aliexpress. The good original Z1 lens was going for ~10bucks + shipping (Jaxman must have bought a lot of lenses at once to get this quality for this price). If you search for a better lenst than what is now installed i would expect a price off 20-50$ foa a really nice lens with high quality coating. . . . If someone know where to get a not to expensive lens with much better quality please let me know! TheOnlyDocc I thought you were looking for a nice replacement, that's all. Bought an aspheric from Yajiamei a couple years ago, found it quite nice quality. On the other hand I prefer uncoated lenses, the gain from anti-reflective coatings is insignificant and it can mess up with CRI and tint. Finally, expensive ≠ good. It can be certainly easier to make something better if a higher budget is available, and it also makes easier for someone else to fill hi$/h€r pock€t$. I bought dozens of times from Banggood and have never experienced FRAUD. Of course shipping is slow but I don’t expect any better considering I choose free shipping every time. The only two times I had an issue was with the Astrolux S42 that wouldn’t turn on but after I sent them a video, they noticed there was an extra o-ring in the threads that prevented electrical contact. I removed it and it worked. The other time (I cannot remember whether it was Banggood or Gearbest) was when I placed order for the Skyrc MC3000 charger. It sat for months without shipping. I just cancelled the order and bought an Xtar VP4 Plus Dragon on Amazon instead. With that said, I would buy from MTN or local retailers when possible to help keep them in business. But sometimes BG prices with the M4D, Freeme, Fin17 coupons are so freaking ridiculously cheap, that it would not make any sense for me to buy elsewhere. Banggood don’t publish negative reviews without proof. Thanks for searching Barkuti. Do not get me wrong. I am only looking for a nice replacement. But only if it is better than the original! Still hope that the original is ok and without flaws! But if there are flaws i will try to buy a new lens from Jaxman. Or find something that is worth spending a few bucks on. Anyone know if this Cometa (and/or Sofirn SP33) can use Keeppower IMR 26650 6000mAh 20A unprotected cell or the protected 10A version? 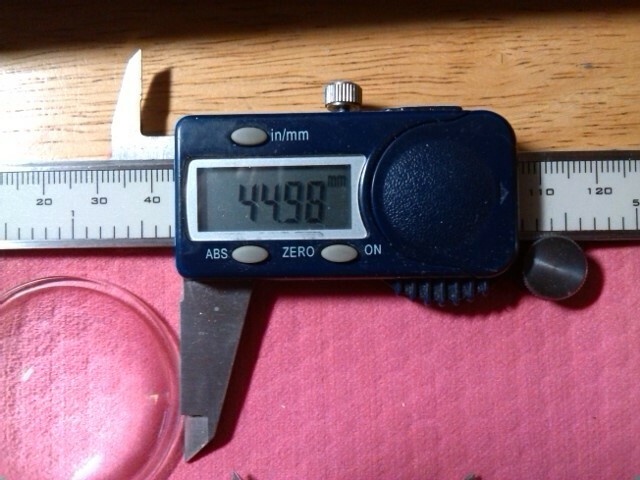 It is sligthly fatter than standard, like 26.7mm or 26.8mm against standard 26.5mm.